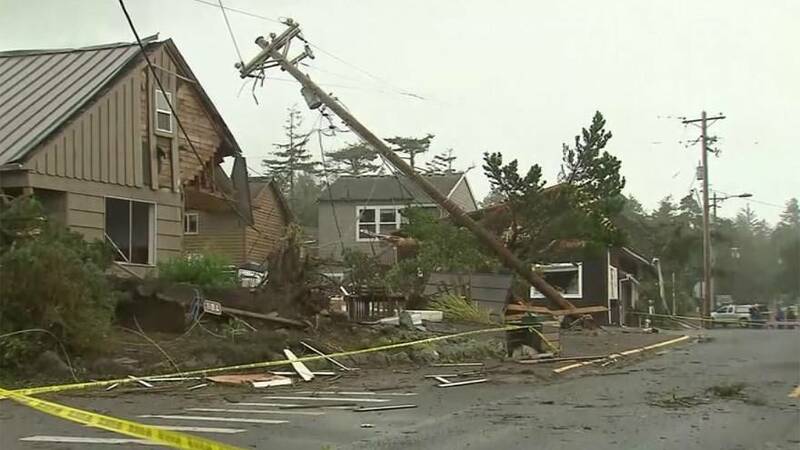 A tornado struck an Oregon beach town in the US on Friday, toppling powerlines and trees as strong winds and heavy rain hammered the Pacific Northwest. The mayor of the city of Manzanita where the twister hit later declared a state of emergency, in order for it to be eligible for federal disaster funds. Thousands were without power as utility crews prepared for what’s expected to be an even rougher storm on Saturday. Tillamook County Sheriff Andy Long later said two businesses in Manzanita were confirmed destroyed and one home was uninhabitable. No injuries were reported.